The Guardian Books Podcast interviews Margo Lanagan and Melvin Burgess. The New York Times interviews Junot Diaz. The Hour of the Wolf interviews Michael Bishop (podcast). 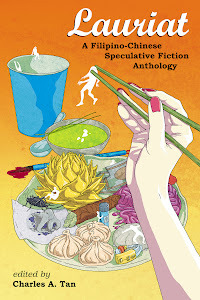 [SFFWRTCHT] A Chat With Author Leah Petersen. Gollancz interviews Daken, the Mad Axe. Grady Hendrix interviews Rebekah Webb. Fantasy Book Critic (Tim Marcquitz) Fading Light Anthology Multi Author Interview part four (2 of 2). Chuck Wendig interviews John Anealio. Locus interviews E. Lily Yu. Lee & Low Books on Diverse Dystopias: A Book List. Gollancz (Darren Shan) on Lady of the Shades. Fantasy Faction (Nyki Blatchley) on Classic Female Fantasy Writers. Kristine Kathryn Rusch on A Warning To All Writers Who Need Help Indie Publishing. Missions Unknown (Scott A. Cupp) on Any Day Now by Terry Bisson. Book & Such (Rachelle Gardner) on How Do Authors Benefit From Agents? The Intern on lasagna for fifty: why writing with a book deal is a whole different game. Black Gate (Sarah Avery) on Teaching and Fantasy Literature: The Year’s Best Science Fiction and Fantasy for Teens (Part II). Racing Cars by Liu Yang. Holy Man’s Journey by Sabin Boykinov. Concept ships and planes by Stephen Chang. 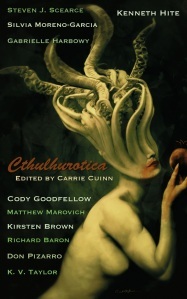 Vaginal Fantasy Book Pick: Cthulhurotica. 2012 Hugo Awards to be Announced Sunday in Chicago. Post Apocalyptic Web Series ‘Drifter’ Press Release. Publishers to Pay $69M in eBook Pricing Settlement. Angry Robot Publication Schedule Update: January to June 2013. Cover Art & Synopsis for “Gods of Risk” by James S.A. Corey.